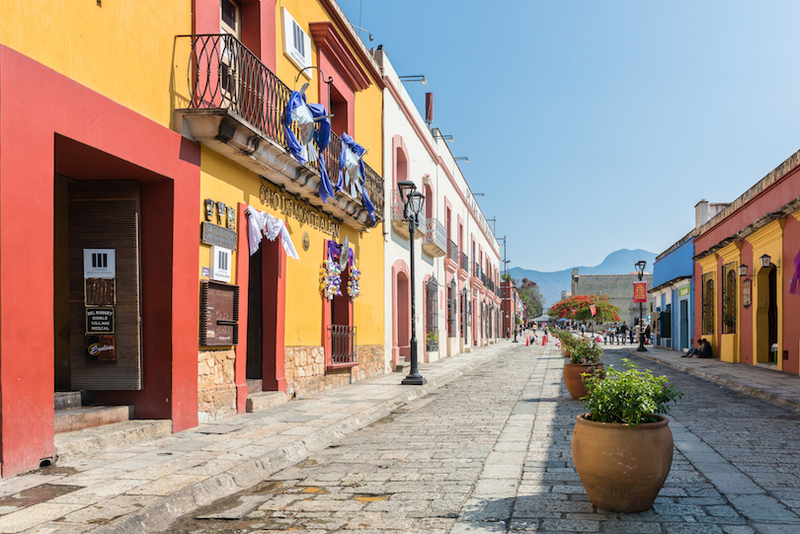 Beautifully mixing the old with the new, colonial architecture and modern buildings stand side by side next to spacious plazas and beautiful beaches in Mexico’s delightful cities. 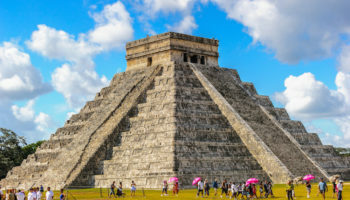 Lying near to incredible Mayan ruins, the lively streets are home to amazing restaurants and museums, as well as thriving nightlife and trendy shops. Perfectly combining natural beauty with its rich and ancient culture, the best cities in Mexico really need to be seen to be believed. A wealthy city full of lavish buildings and delightful old colonial architecture, Zacatecas’ silver mines were deplorably the site of much suffering for the indigenous slaves. Visiting one of the city’s mines is a somber experience, reminding one that this city’s beauty came at a terrible price. Scenically located between two hills, the city is fascinating to explore, conjuring up images of old Spain due to its lovely cathedral, amazing museums and picturesque winding streets. Beautifully preserved, the historic center takes you back to times gone by. Although in recent years increasing tourism has changed the face of the city slightly, Zihuatanejo retains much of its charm and still appears in most places to be a laidback fishing village. Its old streets have some lovely restaurants, bars and cafes tucked away in them, though they are often quite full of tourists, especially when cruise ships stop by. With picturesque beaches, a romantic waterfront along the bay, and fishermen peacefully trawling out to sea, head to nearby Ixtapa in the evening if you are after a livelier atmosphere. 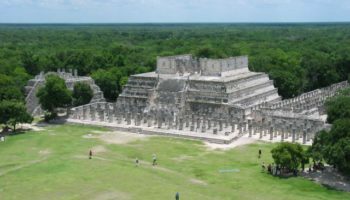 Located on the Yucatan Peninsula, Merida has long been its cultural capital. It has a fantastic historic center, some lovely museums and colonial buildings, as well as picturesque plazas and narrow streets that make for delightful exploring. 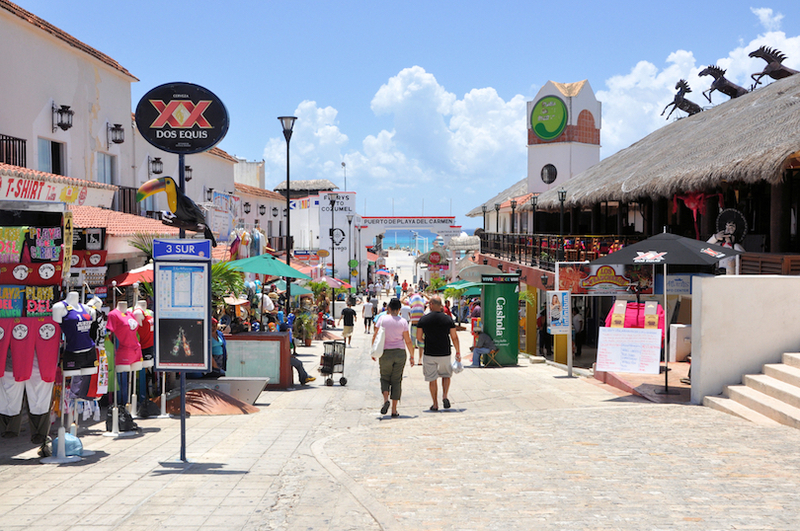 A perfect mix of big city and provincial town, its proximity to several incredible Mayan sites makes it a great place from which to explore the rest of the peninsula. 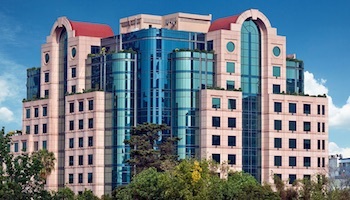 In addition to all this, it has numerous cultural events, markets and restaurants to enjoy. Lying on the border with the US, Tijuana is a gritty, crime-ridden border town where you can drown in booze, party until dawn and possibly visit its red-light district. Claiming to be the ‘most crossed border’ on earth, the droves of visitors dropped due to an increase in violence from the drug war, although most of them have now flocked back to the bustling city – it is now a lot safer. In recent years, a thriving arts and culture scene has developed, and there are lots of trendy restaurants and contemporary galleries opening. Once nicknamed the ‘Pearl of the Pacific’ due to its majestic setting, the city used to attract the rich and famous, but now it is more often college students on spring break who visit this crazy party town. 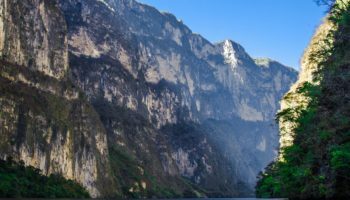 Due to the drug wars that have led to an increase in violence, in recent years many people have stayed away, although it is comparatively safe to visit. Acapulco is still visually stunning – its towering cliffs give way to verdant hills, sweeping bays and idyllic beaches, and its famous cliff divers are exhilarating to behold. 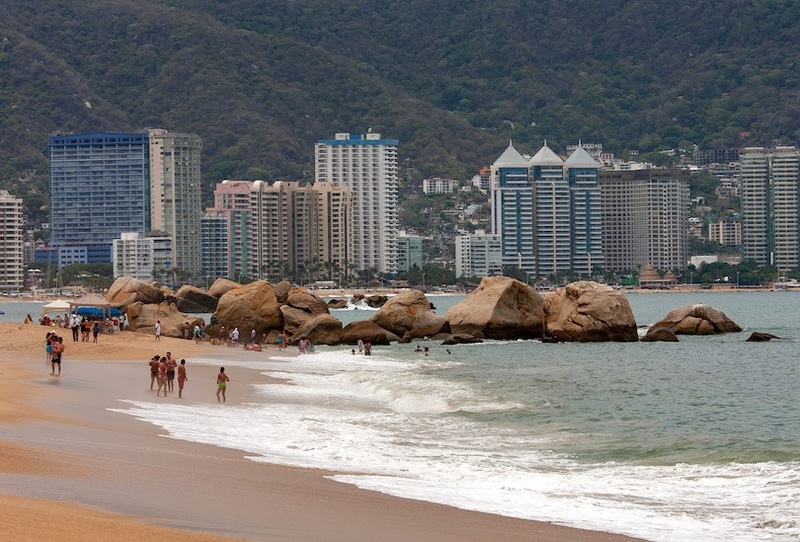 With a delightful old fort, some great restaurants and lively nightlife, Acapulco still has it. 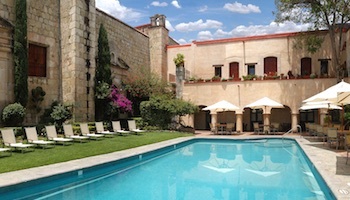 One of Mexico’s – and indeed South America’s – prime destinations for culture lovers, Oaxaca has a rich cultural heritage that mixes the colonial with the indigenous. A beautiful place, the city is set in a picturesque valley. 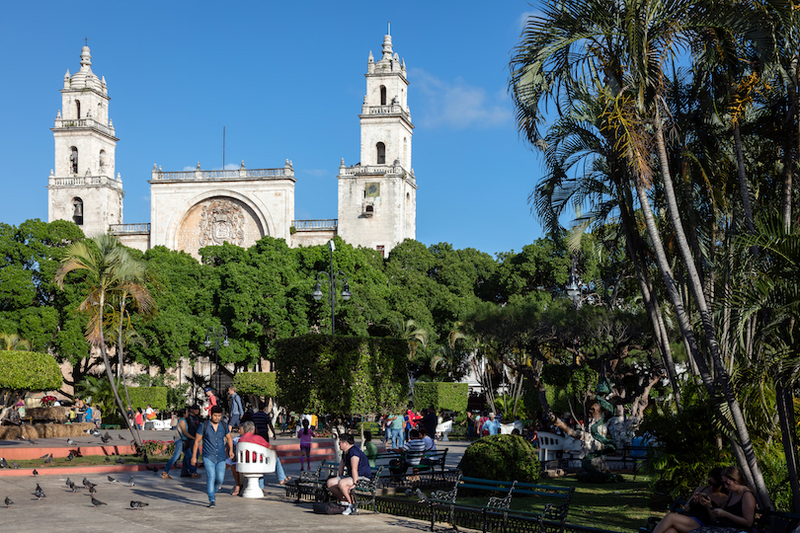 The charming plazas and fine churches of the colonial center mix seamlessly with indigenous markets and the regional flavors of the city. Wandering its streets is an experience; you will pass interesting museums and galleries, provocative street art, atmospheric cafes and, if you’re lucky, amazing fiestas. This fantastic colonial city is an absolute delight to explore. It has a lovely cathedral, over seventy old churches in the center and more than a thousand historic buildings. 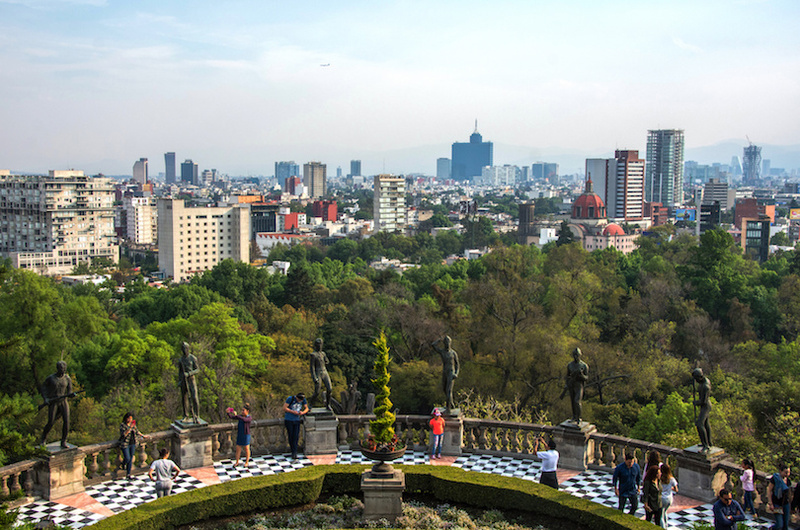 The fifth-largest city in Mexico has a lively arts and cultural scene, as well as some great nightlife to explore. 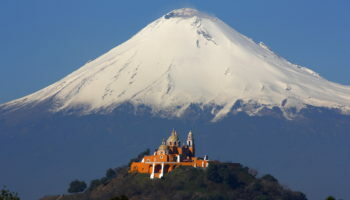 With several worthwhile museums and a rich gastronomic history, Puebla City’s setting in beautiful mountainous terrain only adds to the attraction. 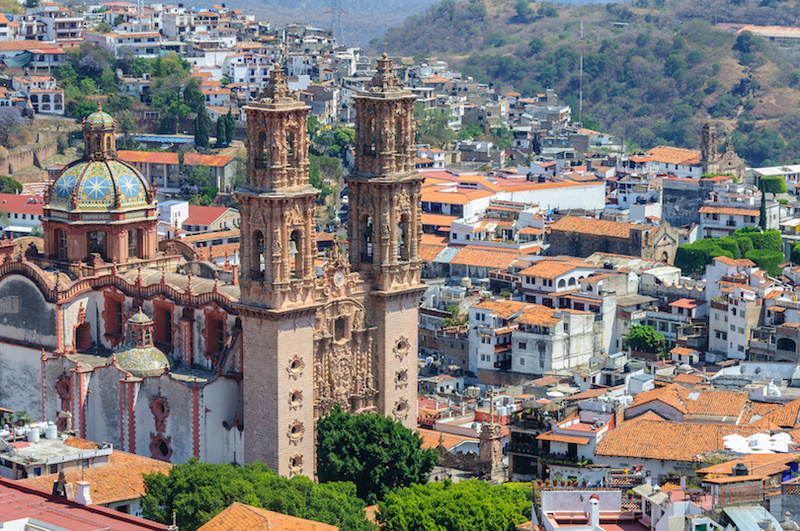 With beautiful mountains surrounding the city, delightful colonial architecture, and the distinctive twin spires of its baroque church rising above the rooftops, Taxco is a picture-perfect place to visit. 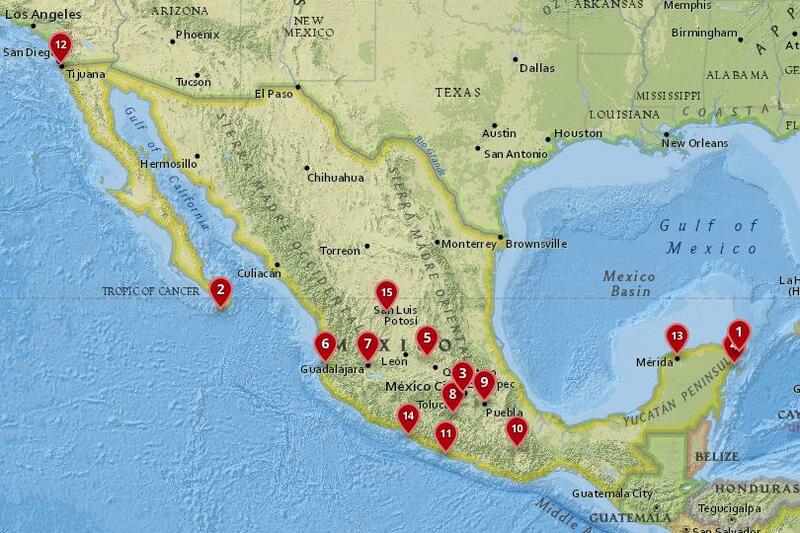 It makes for a great weekend trip from Mexico City. Built with the wealth that came from the silver mines, tourism is now the main breadwinner, although there are still lots of workshops where you can buy jewelry. With a timeless feel to it, wandering its narrow, cobbled streets amongst the old-style buildings is magical. The second largest city in the country, Guadalajara is an expansive place that works at a slightly more relaxed pace than Mexico City. 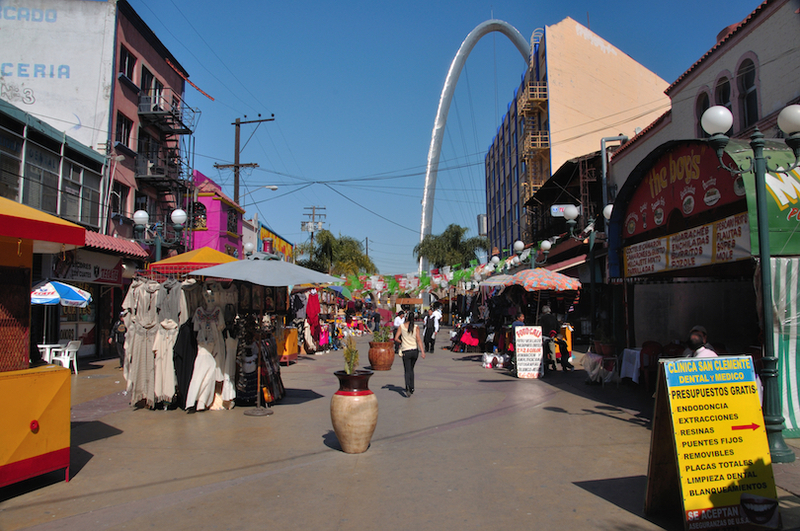 With a distinctly Mexican flavor about it, there is a rich cultural heritage, with sombreros and mariachi music originating from amidst its bustling streets. Mixing the old with the new, the historic center with its fantastic cathedral and colonial architecture is a world away from other neighborhoods that are home to hipsters, trendy boutiques and pounding nightclubs. 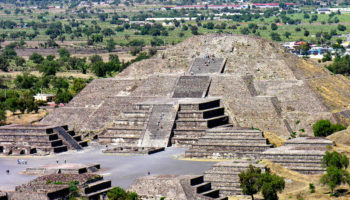 With a myriad of museums, galleries and theaters dotted amidst its numerous parks and squares, Guadalajara has a magnificent culinary scene and is a city on the move as it continues to modernize. With stunning sunsets that bathe the mountains behind Puerto Vallarta in a golden glow and leave orange hues wavering in the ocean, the city is a delight to visit and attracts a diverse crowd of holiday makers. Its endless beaches are the main draw, and the glittering waters that border them only add to Puerto Vallarta’s allure. Although expensive and quite touristy, the city has a nice old colonial center, with some trendy shops and upmarket restaurants. The gay beach capital of the country has become more and more popular in recent years. As well as its pumping nightlife, there are lots of activities to help keep visitors entertained, such as horseback riding and boat trips. One of the most popular destinations in Mexico, San Miguel de Allende is a picturesque and charming Mexican city that is magical to wander around. Looking out over the Rio Laja, the city is beautifully located on a steep hillside; its cobbled streets and delightful colonial architecture make it a treat to behold. Due to the image of perfection that it gives off, it is now home to a large foreign population, who give San Miguel a cosmopolitan feel. Although there are no major attractions, simply being here is a treat. Whether it’s dining in the great restaurants, perusing the galleries or visiting the nearby hot springs, this city won’t disappoint. 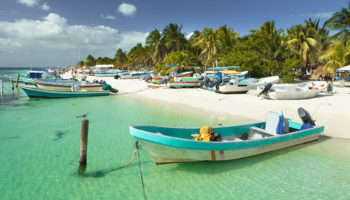 Located on the Yucatan Peninsula, Playa, as it is known to residents, is at the heart of the Mayan Riviera. 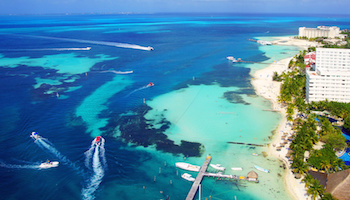 It is a popular destination due to its proximity to Cancun and Cozumel. 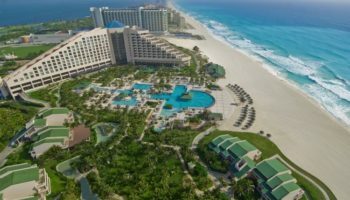 This trendy resort city is packed with holiday makers from both Mexico and abroad, with lots of cruise ship passengers dropping by. In addition to its lovely beaches and tranquil waters, the nearby reefs make for some fantastic diving and snorkeling. Based around Avenida 5 – the central street in town – there are lots of cafes, souvenir shops and upmarket fashion boutiques. This colossal capital city is home to over twenty-five million people; its vast size is staggering to behold and explore. Despite the endless sprawl, the fantastic metro system will soon have you shooting around in no time at all. While Mexico City still struggles with pollution, a lot of improvements have been made in recent years. In a city of this size you can find almost anything imaginable. As such, some areas teem with life and energy while others are more quiet and laid back. A cosmopolitan place, the city center has some delightful colonial architecture on show. There are also some great museums to visit, with fantastic dining options and little old churches interspersed among more modern buildings. With so much to see and do, one could spend a lifetime exploring all this city has to offer. Located right at the tip of the Baja Peninsula, Cabo San Lucas has a myriad of activities to entertain tourists, with a raucous party scene amid a stunning setting of beautiful white beaches and amazing sea cliffs at Land’s End. With a huge number of resorts to choose from, the city is becoming more and more popular and it’s easy to see why. Although most people come for the beaches and incredible nightlife, which includes fantastic restaurants, pounding clubs and lively bars, the natural beauty of the surroundings and the amazing array of outdoor activities alone make Cabo worth visiting. Whether it’s taking a boat ride to watch dolphins frolic in the water, horseback riding among the cacti in the nearby desert, or scuba diving in the ocean and jet-skiing across its waves, Cabo is a dream to visit. 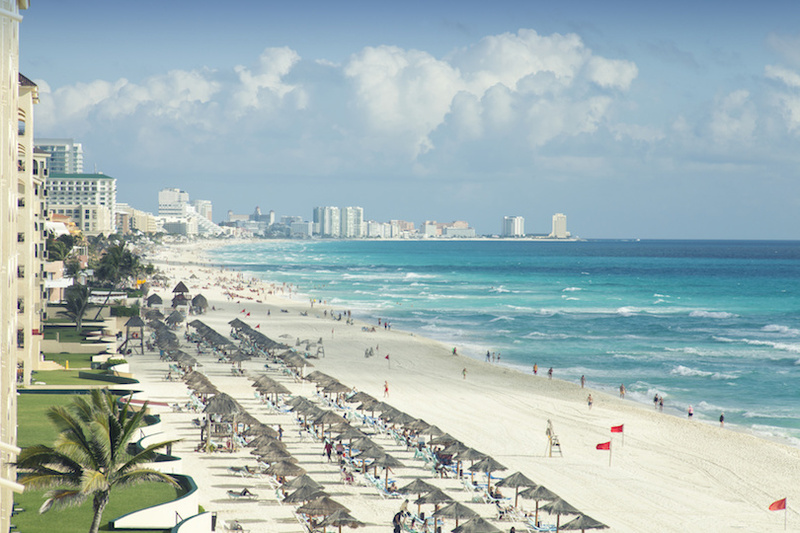 With its glittering turquoise waters, pearly-white beaches and fabulous party scene, Cancun’s idyllic setting and upbeat vibe makes it a fun and lively city to visit in Meixco. This huge resort city has two sides to it; the upmarket hotels, brilliant spas and expensive seafood restaurants contrast with the concrete buildings that are characteristic of the more residential neighborhoods. Both are worth exploring, however, as the latter is home to authentic salsa clubs, laid-back beach bars and a plethora of cheap eating options, while the local beaches remain untouched and beautiful. 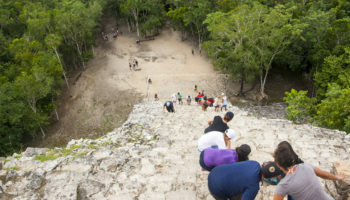 While some may enjoy lounging on the beach and partying in the resorts’ endless discos, others will revel in discovering the Mayan ruins and pristine jungle habitats of nearby Coba or the more distant Chichen Itza. 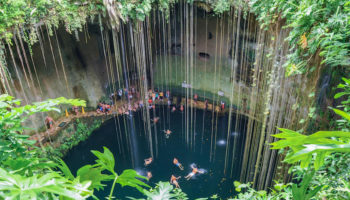 In any case, a fantastic array of day trips are available to you if you should ever feel the need to get out of Cancun for a bit of a break.